Basic income after automation? That’s not how capitalism works! - Industrial Automation Consulting, Inc.
Philosophers, economists and other academics have long discussed the idea of “basic income” – an unconditional monthly check from the government to every citizen, in an amount at least high enough to cover all basic necessities. Recently, this idea has gained more political traction: Even conservative parties consider it, and government-initiated trials are running or about to start in Finland, the Netherlands, Canada and New Zealand. One reason this idea has caught politicians’ attention is the fear that large-scale automation will soon put many people out of work permanently, even as economic growth continues. (Truck and taxi drivers are currently the most discussed example.) 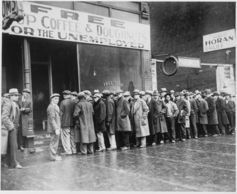 Basic income is seen as a solution to the social problems that the predicted “technological unemployment” will bring. Under capitalism, technological progress results in more products, not in more leisure. Factories that improve their efficiency don’t shut down and send workers home early – workers keep the same hours and crank out more goods. True, technological progress can cause temporary unemployment. But a look at history will tell you that, unless we switch to another economic system, there is no reason to fear (or hope) that automation will put people out of work permanently. (Contrary to recent claims, artificial intelligence will not change that point.) The Automation Argument simply misunderstands how our economy works. Continue reading the full original article here.